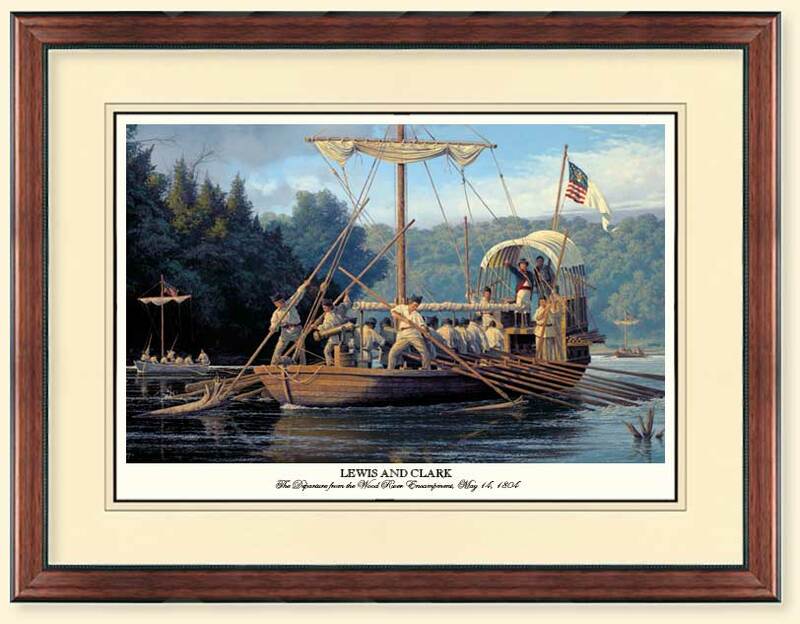 After a long winter camped at the Wood River location across from the mouth of the Missouri River, the army expedition under the leadership of Meriwether Lewis and William Clark depart into a land few white men have ever seen. All hands are commanded to put their back into it and row across the Mississippi River and into the gaping mouth of the muddy Missouri River. The Missouri is a river nothing like the rivers each member of the expedition has known. If the Mississippi River is the grandfather of American rivers and the Ohio River the responsible patriarch, the Missouri River is the drunken uncle, pleasant to be around at times, however, hell on earth when he is on a bender. 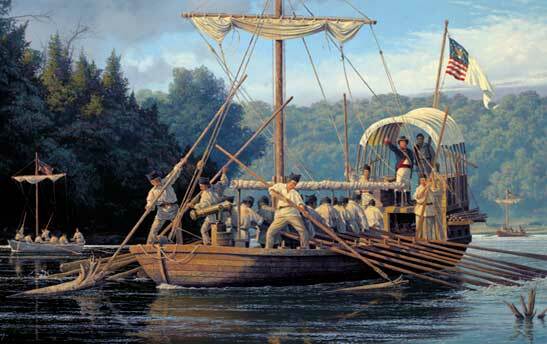 With eyes wide open and senses heightened to a fever pitch, the men of the Lewis and Clark Expedition listen to the commands of the sergeants to disregard the pain of the effort required to move a fully loaded 55 foot keelboat against the formidable current that will be their nemesis for 3000 plus miles before they have to climb the Rockies. We are witnessing the beginning of an epic adventure. In the absence of Lewis, away finishing business in St. Louis but soon to join the unit in St. Charles, Clark is in command. What must be going through his mind on the first leg of the journey. The men were, for the first time, really together as a unit. How were the boats going to handle? How would they work as a unit? We know that the leaders had early problems with discipline leading to court martial and the administration of lashes. Lewis almost fell to his death above Tavern Cave. The keelboat was almost lost in rough water; and, the men were getting to know the mean river that ran all the way to the Rockies. Would he and Lewis be able to grab and hold on to the respect of the men and provide the leadership to keep them alive and still accomplish the goals of exploration and diplomacy set forth by President Thomas Jefferson?